Any time that someone digs into the ground; whether a contractor or homeowner, they run the risk of hitting utility pipes and or cables. This can be at best an expensive mistake and at worst be extremely dangerous; gas pipes can explode, and electrical power cables that become exposed can cause fires or electrocution resulting in loss of life. Even hitting water pipes can cause a mess, undermining foundations or cause flooding. Service Locate offer a complete utility locating service to all areas of Brisbane and the Gold Coast that identifies what type of utility lines are present, exactly where they are; as well as how deep to within 97% accuracy. With this information, contractors and home owners can confidently excavate the ground. Service Locate has certified utility locators that come out to the property and using state-of-the-art electromagnetic detection devices, locate and mark out where pipes and cables are situated underground or diagram of the location and depth of each utility present. All utility company lines are detected if they exist on the property; water, gas, electricity, sewerage and telephone lines within the utility locating service. 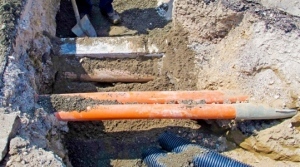 Sometimes however, specific pipes or cables are required to be located because of changes made from when they were first laid; renovations to the property has occurred, or renovations are about to occur that involve digging and connection of these utilities. 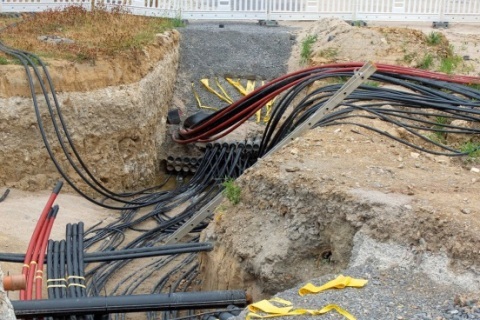 For this reason we offer a cable locating service to locate all cables underground in a specific location, including telephone, electricity and data cables. The pipe locating service can be specifically requested to locate sewer pipes, water pipes and gas pipes underground before you dig. Service Locate uses the latest electromagnetic line locating technology to assist in cable locating for excavation work, site planning, as well as assisting homeowners with digging safely on their property. 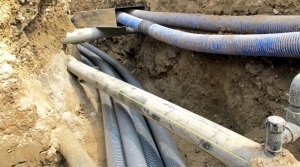 Cable location, prior to excavation is extremely important as it helps avoid the potential danger of digging into cables; particularly power cables that if exposed have been known to cause fatalities, as well as costly repairs. Service Locate’s utility cable locating service is offered to construction engineers, architects, surveyors, contractors, government departments, developers and residential property owners. 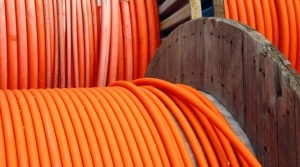 In the past, locating cables underground could be done by looking at utility companies records, however, overtime with renovations, more cables are laid; especially with data cables connecting computers to the Internet. Records are often not updated, are incorrect, and can be limited to just a line on a map with no depth measurements. Service Locate’s cable location technology can provide a three-dimensional plan showing all buried cables that is non-invasive and better than 97% accurate. Note too: Utility companies such as Telstra and Energex will only provide information for cables that they own. 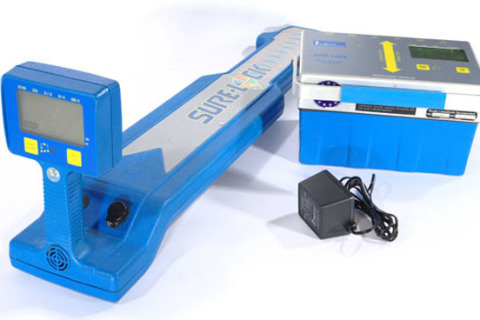 Using some of the most advanced equipment and locating methods in searching for underground cables, cable locators can detect cable 5 metres below the surface within 97% accuracy. Pipe Locating Service Is More Than Pipe Locating. Every year home owners, contractors and builders spend thousands of dollars on unnecessary repair expenses on damaged underground water, sewerage and gas pipes. These costs could have been avoided by using the pipe locating service from Service Locate. 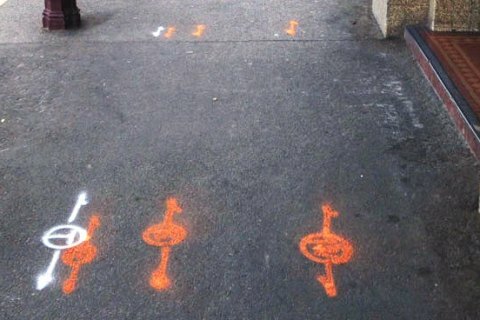 Water or gas utility companies can come out to mark the locations of their respective lines, but each will only mark the location from the street to their meter. 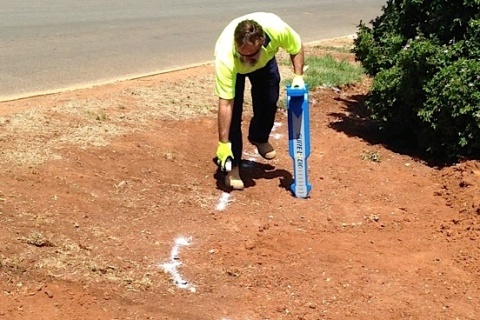 Certified pipe locators can locate all pipes; gas, sewerage and water pipes that are underground all over a property giving confidence to start excavation. 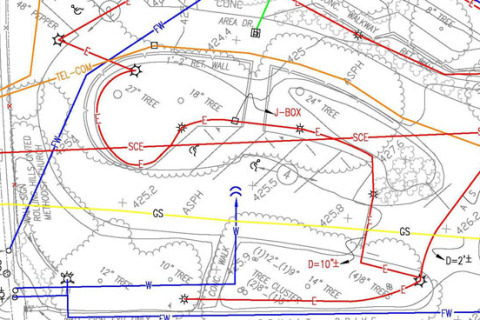 Apart from locating and marking the location of underground pipes, the pipe locating service offered by Service Locate also includes a diagram detailing location and depth for later reference. As an additional service and extra cost we can provide mapping details. To implement this the client would have to provide a base-map of the existing site-plan in a PDF file. 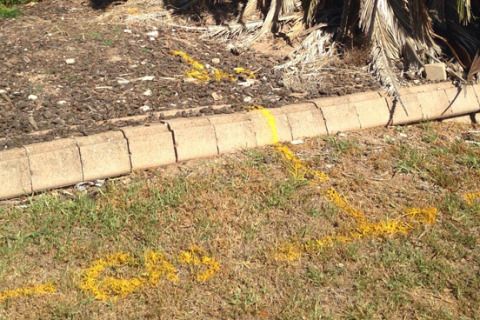 Anyone who has needed to dig where pipes have been located has no doubt experienced pipe locating companies that have just sprayed paint on the ground. After foot-traffic, vehicles or excavation equipment has passed over the paint – it’s gone! Knowing where pipes are accurately located underground is important to know before commencing any site works. Service Locate’s experienced pipe locators use non-invasive electromagnetic transmitters to provide a complete pipe location service with an accuracy rate within 97% and the capability to locate pipes approximately 5 metres underground; depending on sub surface soil conditions.